ClearView Radiation Shielding panels are multipurpose transparent shields providing large viewing windows. 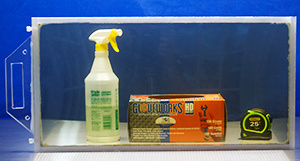 The housing of the ClearView solution is constructed of impact resistant polycarbonate. The polycarbonate wall thickness will be determined by the size of a panel. The panels can have handles attached and can be joined with zip ties if needed. 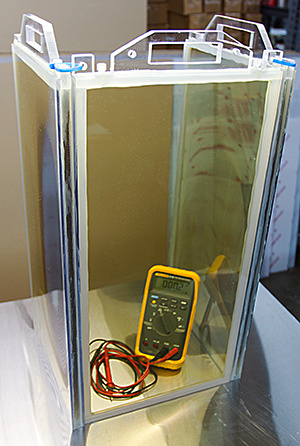 The design and features of transparent ClearView Radiation Shielding panels makes it suitable for many applications. 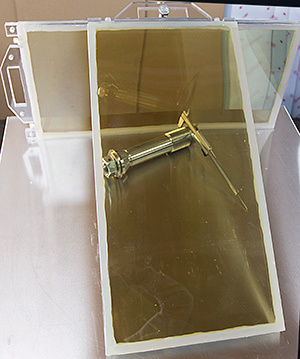 An affordable and light shield which can be hung on walls or places where additional shielding is desired but existing setup cannot be changed; such as nuclear medicine dose calibration rooms, radiotherapy rooms. Standard Dimensions – 12’’x12’’, 24’x 12’’, 18’’ x 12’’, 24’’x 24’’.